The first Zen Buddhist sect, the Rinzai, was introduced to Japan by a monk called Myoan Eisai (1141-1215), only to be followed shortly by the second Zen sect, the Soto, that was introduced by Eihei Dogen (1200-1253). Eisai was supported by the second Kamakura shogun, Yoritomo's son Yoriie, and was encouraged to build Buddhist temples in Kyoto and in Kamakura. And so he did. Dogen, however, declined the shogunal regent's invitation and chose instead to withdraw deep into the woods among the mountains of what is today known as Fukui Prefecture, where he established the temple Eiheiji, the headquarters of the Soto. Both the Rinzai and the Soto sects gained ground rapidly due to the fact that the strict self-discipline and respect for intuitive understanding they displayed was greatly appreciated by the warrior mind. Also, these Zen Buddhist sects had deep connections to Chinese culture and learning and were not under the influence of the court, which the shogunal regime was highly suspicious of. Apart from a new doctrine, Zen Buddhism also brought with it a new Zen architectural style that - not unlike the Great Buddha style, - was perfected in Sung-dynasty China, but possessed a completely different in design. The typical Zen complex is axial in plan and bilaterally symmetrical, which is reflective of the regimentation of the Zen monk's daily life. Each act of a Buddhist monk's day is devised to contribute to the big picture of their religious discipline. Zen sects have rules for both the shape and appointments of every structure and the placement and scale of every building within the Zen complex. Zen style architecture in Japan is also known by the name Karayo, which means the "Chinese style", a name that sets it apart from the earlier style of Buddhist architecture, which by the 12th century had been considered indigenous and as such was named Wayo, meaning the "Japanese style". Like the Great Buddha style of Chogen, many of its innovative aspects were adopted into the construction technology of other sects, but unlike Chogen's style, Zen style architecture went on to thrived on its own as well. 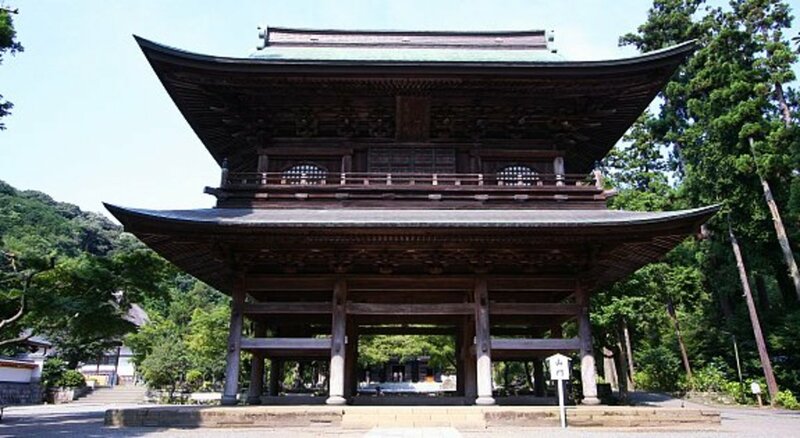 The Jizodo of Shofukuji temple was built in 1407, which makes it the oldest Zen Buddhist temple in eastern Japan to which we can affix an exact date. 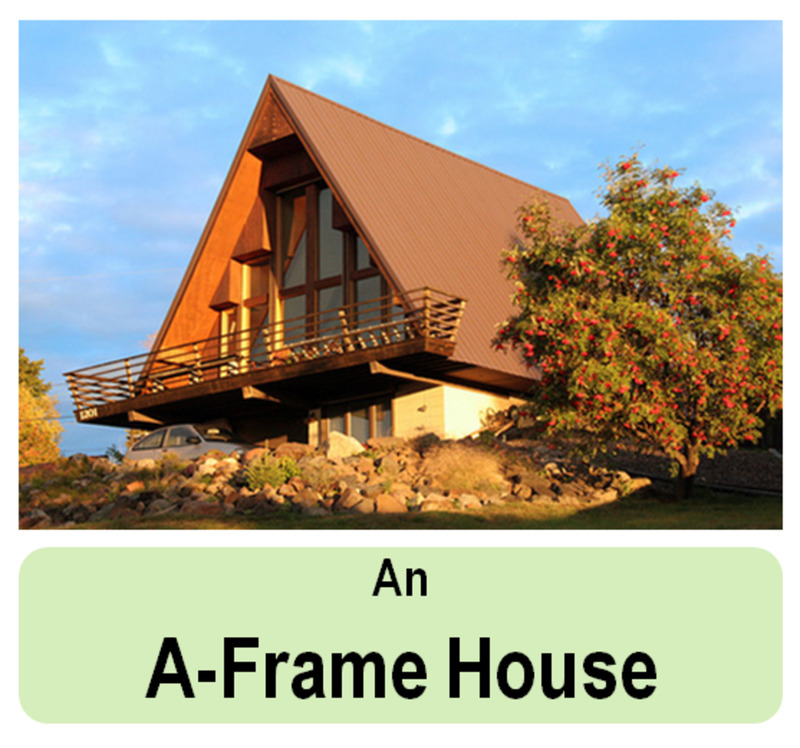 The structure is 3-by-3 bays and 1-story tall, but the surrounding area with pent roof gives the impression of a 5-by-5-bay, 2-story-tall structure. Over top of it rests a hip-and-gable (irimoya) roof. At the heart of the Jizodo is a 1-bay-square section housing the altar. Compared to the Great Buddha style and the Wayo style, the Karayo Zen-style members are thinner and give the exterior a fine and slender appearance. This doesn't come at the cost of sacrifice in stability due to better use of the tie beams (nuki) that pierced the columns they bridged together. The Shariden of Enkakuji temple in Kamakura has a very similar structure to the Jizodo Temple, and is just as famous. Unfortunately, the original building burned to the ground in 1563, and the present structure was brought from Taiheiji, one of the 5 Kamakura nunneries. However, Taiheiji's history is obscure and no precise date can be fixed to the Shariden. Although the Zen style was introduced from Sung China, Japan's Zen Buddhist structures are far from being exact replicas of Chinese prototypes. Japanese carpenters changed the original designs to suit their preferences. The roof in Japan is usually covered with wood shingles in place of the Chinese-style tiles and is held up by a double-tiered system of rafters. The second hidden layer (nodaruki) supports the roof and is set at a steeper pitch than the exposed first layer of rafters (keshodaruki) beneath it. The construction is further strengthened by the employment of a cantilever (hanegi) that sits between the two layers of rafters. 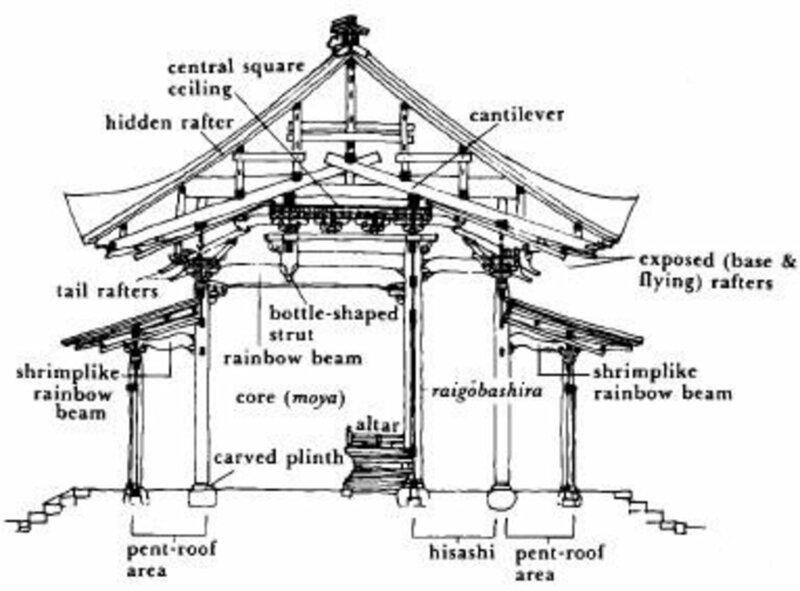 Prior to the development of the double-roof system in the 10th century, wide spaces could only be built employing a steep drop in the angle of the rafters over the peripheral parts (hisashi) of the structure surrounding the center (moya). With the double roof introduced, the pitch of the underside of the roof could be set up independently of that of the exterior, allowing for more gently inclined rafters over the periphery. This, in turn, got rid of heavy shadows and gave an impression of serenity to the outlying areas. 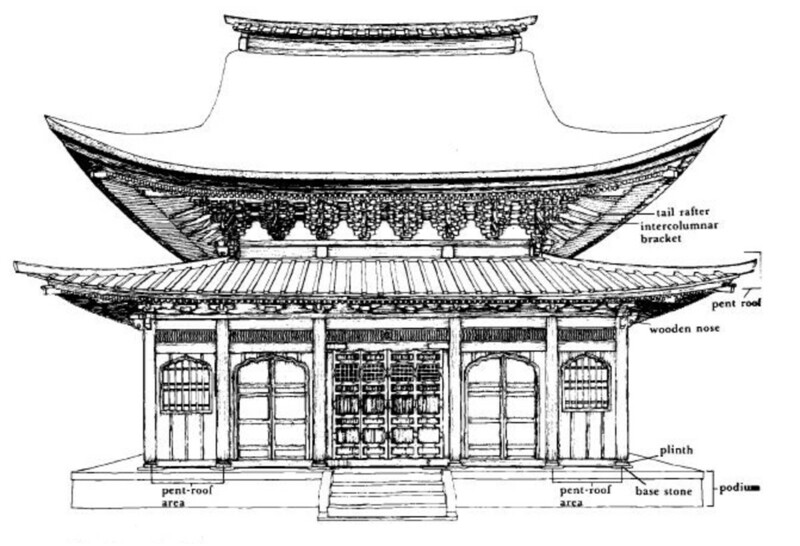 This double roof system was entirely a Japanese invention, after which Japanese temple spaces felt quite different from their Chinese counterparts. 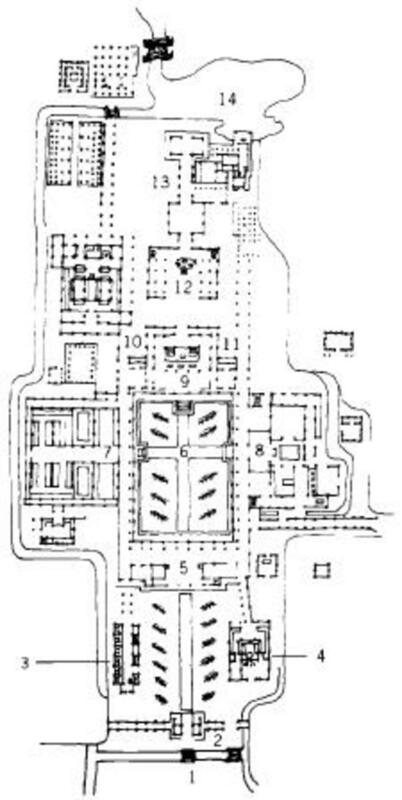 The Zen Buddhist complex uses an axial layout. One good example of this can be found in an extant plan of Kenchoji from 1331. We enter the temple complex over an arched bridge (1), pass through the Main Gate (Somon) (2), and then go on between rows of junipers stand in front of the Enlightenment Gate (Sammon) (5), which is the equivalent of the inner gate (Chumon) of other sects. 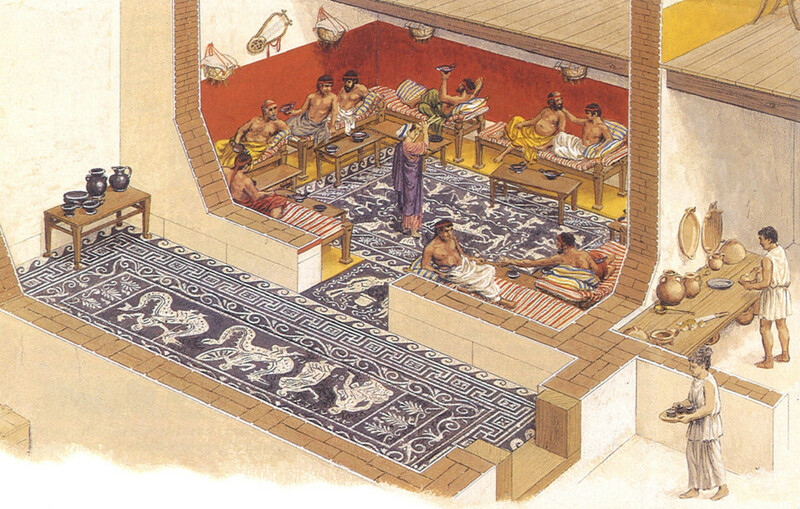 The bathing facilities (Yokushitsu) (4) can be found to the east, while the latrine (Seichin) (3) is located to the west. Beyond is the central court (6) planted with junipers and bordered by a corridor. We find the Buddha Hall (Butsuden) (9) at the north. 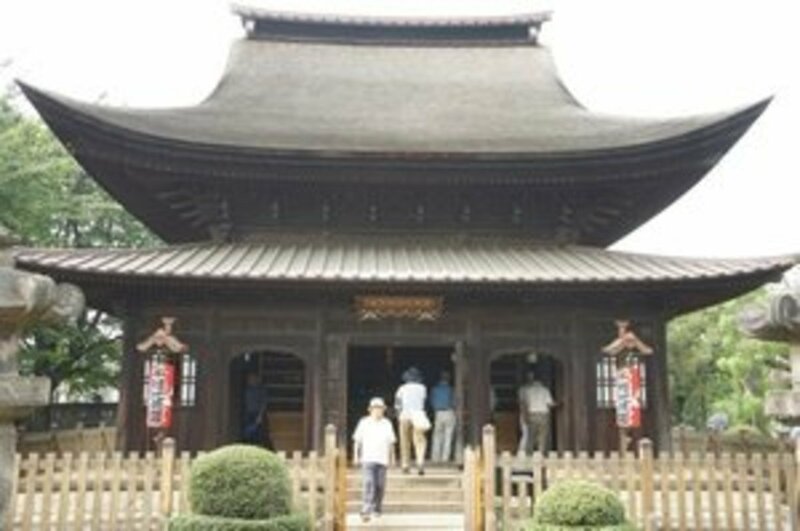 Situated to the east of the Buddha Hall is the hall for the worship of local deities (Tochido) (11) while to the west lies the Founder's Hall (Soshido) (10). Leaving the central court we find the temple kitchens (Kuri) (8) to the east and the Monks' Quarters (Sodo) (7) to the west. Up north is placed the Dharma Hall (Hatto) (12), which serves as a place for lectures on doctrine. Further north lies the Guest Hall (Kyakuden) (13) overlooking an elegant pond (14), a place for the entertainment of important persons. In other Zen compound this area houses a hojo, the residence of the abbot and another area for doctrinal discussion. 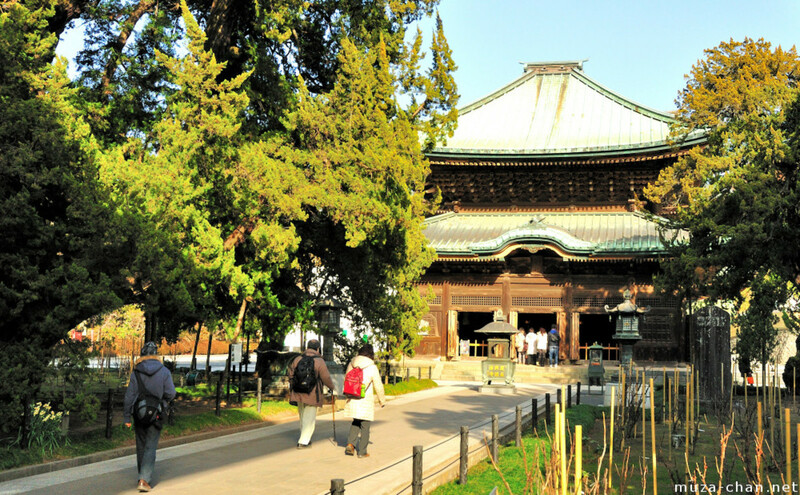 Kyoto, Japan Sightseeing: One, two, and three day itineraries. Excellent hub about some beautiful architecture. I liked the videos a lot. Voting this Up and Interesting. This was a really great article about the history of the Zen Temples in Japan. Interesting information and it was so well presented. Thank you for enlightening us. LOVED this Hub! I've always been in awe of the architecture of various castles, shrines, and templates I've visited in Japan. It was great fun to learn a bit more about it! Thanks for stopping in and reading, Thomas! It is very nice to make your acquaintance and to do so with such a great hub...double bonus for me! Beautifully done. This is very interesting. 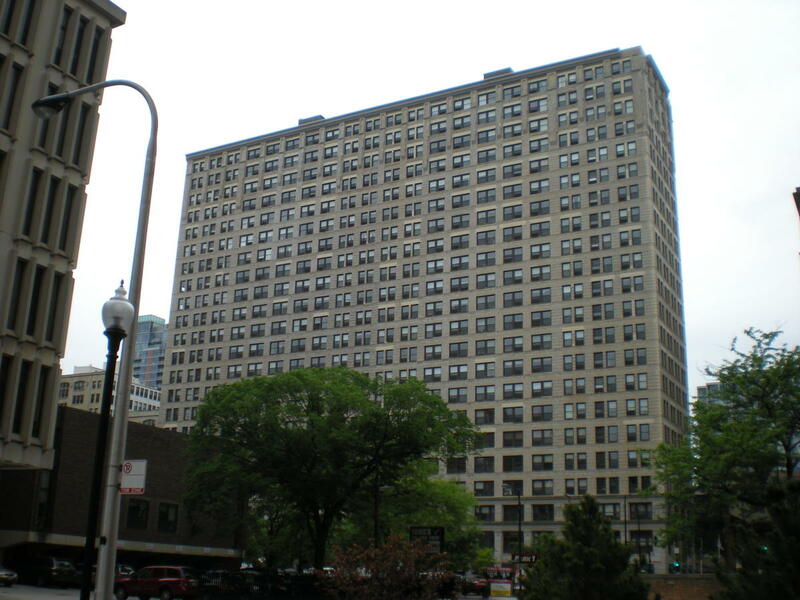 It is amazing how you can tell an area by its style of architechture. I love the Zen type building. Well done! Bela, this is a fascinating hub! I had a zen-like feeling while reading it. Well done! I think this is perfection for a hub:). So interesting, great writing - so professional. Wow! Awesome. I love the Buddist train of thought and have always been intrigued by it. Very cool! My oldest daughter is taking a class right now in college in Chinese history and we were just talking about that an interesting hub it would make last night. lisadpreston, thanks for stopping in and reading! Zen, this is a beautiful Hub with plenty of information about these wonderous buildings. I agree with lisadpreston, it looks so peaceful amongst these buildings. Beautifully researched Haunty. You have made a comprehensive study here, Haunty. I have often wondered about the Zen structures, and you have explained it so well. Thanks for creating this hub. I do like the line drawing (Jizodo of Shofukuji Temple, 1407) with explanations. 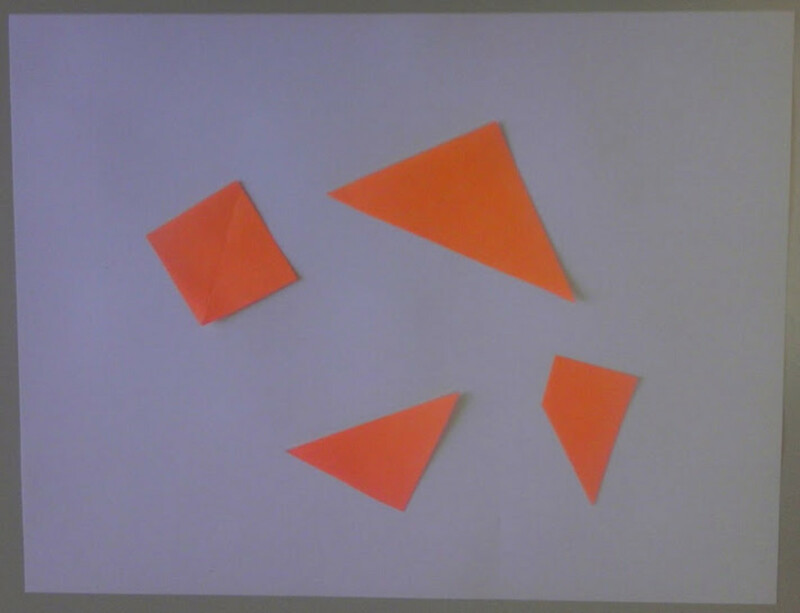 This appeals to my diagrammatic mind. 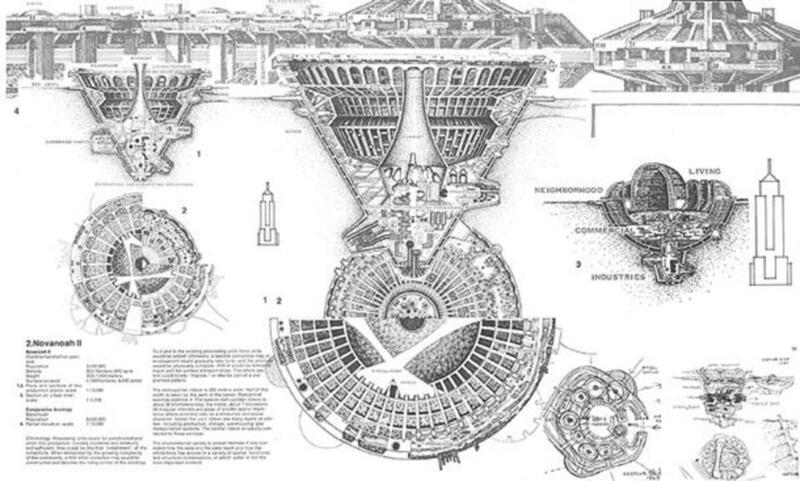 These are beautiful structures. I love them. They emanate peace! Thanks!